2. Biometric Scanning of Ten Fingerprints. 3. Biometric Scanning of Iris. · Address card having name photo issued bu department of post. Aadhaar is a unique number, and no resident can have a duplicate number since it is linked to their individual biometrics; thereby identifying fake and ghost identities which result in leakages today. 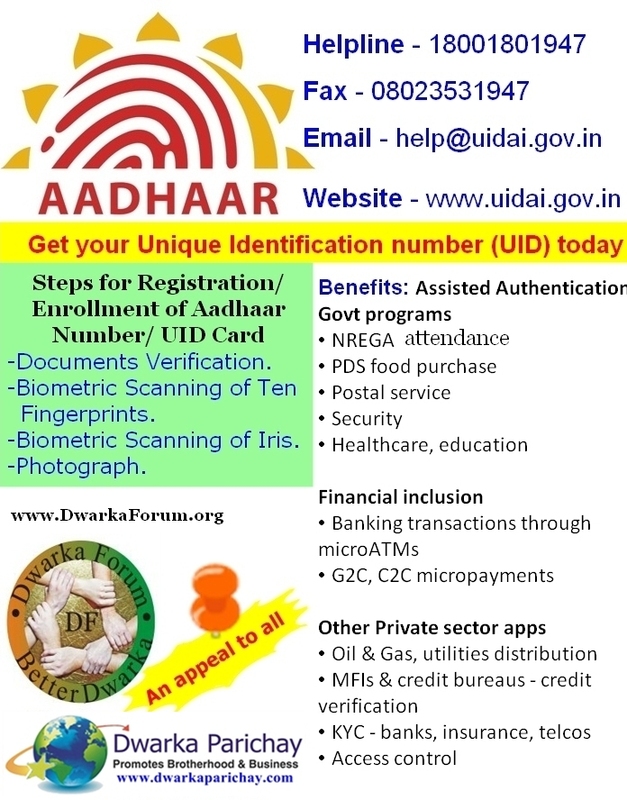 A problem in reaching benefits to poor and marginalized residents is that they often lack the identification documents they need to receive State benefits; the ‘Introducer‘ system which has been approved for data verification for the UIDAI will enable such residents to establish an identity. The UID-enabled-Bank-Account network will offer a secure and low cost platform to directly remit benefits to residents without the heavy costs associated today with benefit distribution. Tthe UIDAI will offer online authentication services for agencies who wish to validate a resident’s identity; this service will enable confirmation of the entitlement actually reaching the intended beneficiary. Using Aadhaar as an authentication mechanism, residents should be able to access up-to-date information about their entitlements, demand services and redress their grievances directly from their mobile phone, kiosks or other means. In the case of self-service on the resident’s mobile, security is assured using two-factor authentication (i.e. by proving possession of the resident’s registered Mobile Number and knowledge of the resident’s Aadhaar PIN). There are volunteers visiting each CGHS society over each weekend. I missed when it was being done at mine (Sector-11). Where can I go within/near Dwarka to get it done for myself and family? Thanks for informative article regarding AADHAR. Just wonder why there is no Enrolment Centre in Dwarka itself. It would be convenient for the residents of Dwarka Sub City if Delhi Govt or the concerned agencies start Enrolment Centre in Dwarka.